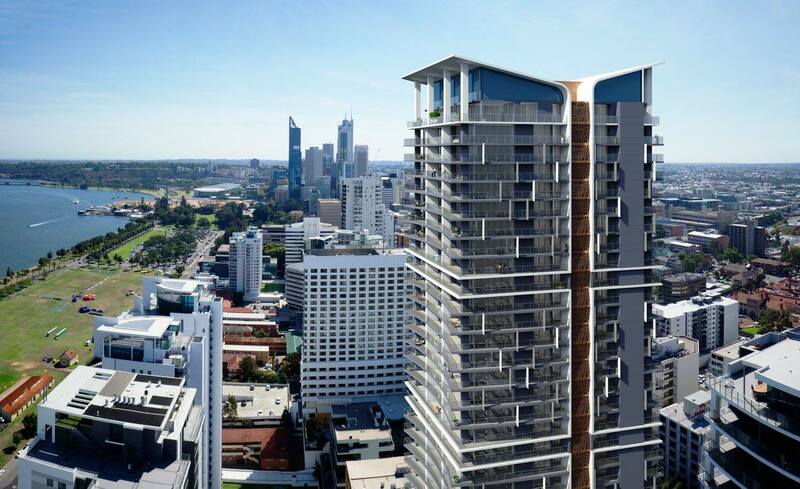 Upon completion, this is the largest garden wall installation in WA, in Perth’s tallest residential building. 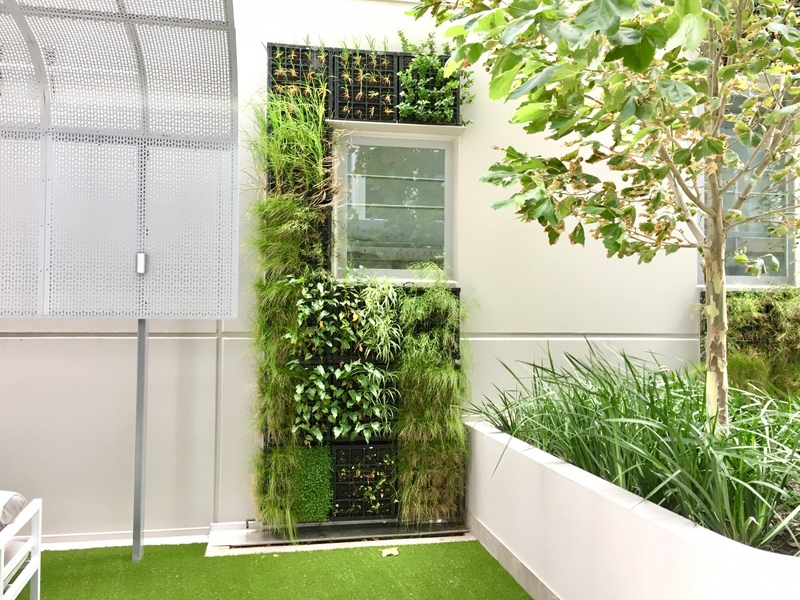 Finbar contracted Earth and Water to design, implement and maintain garden wall modules suitable for Concerto’s aesthetic. Because the site was so spread up, we had to create four different zones. 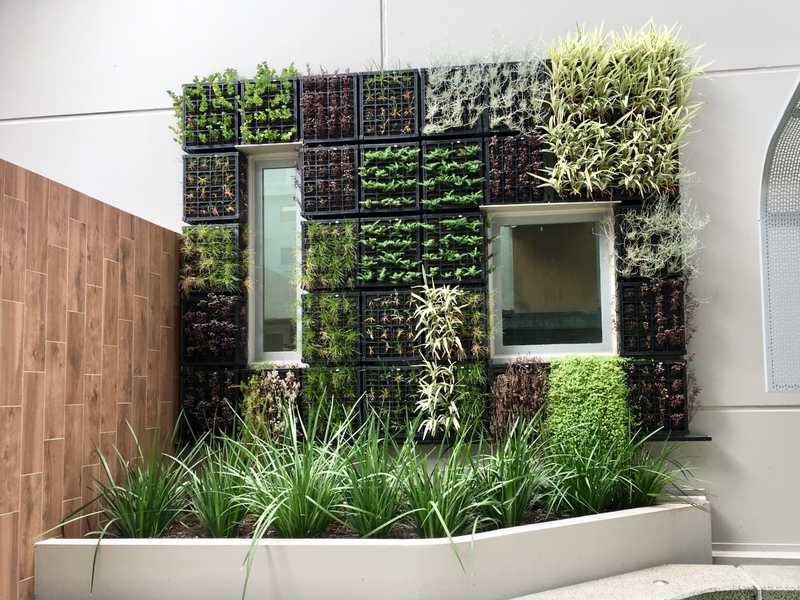 This meant different plants and different water consumption. 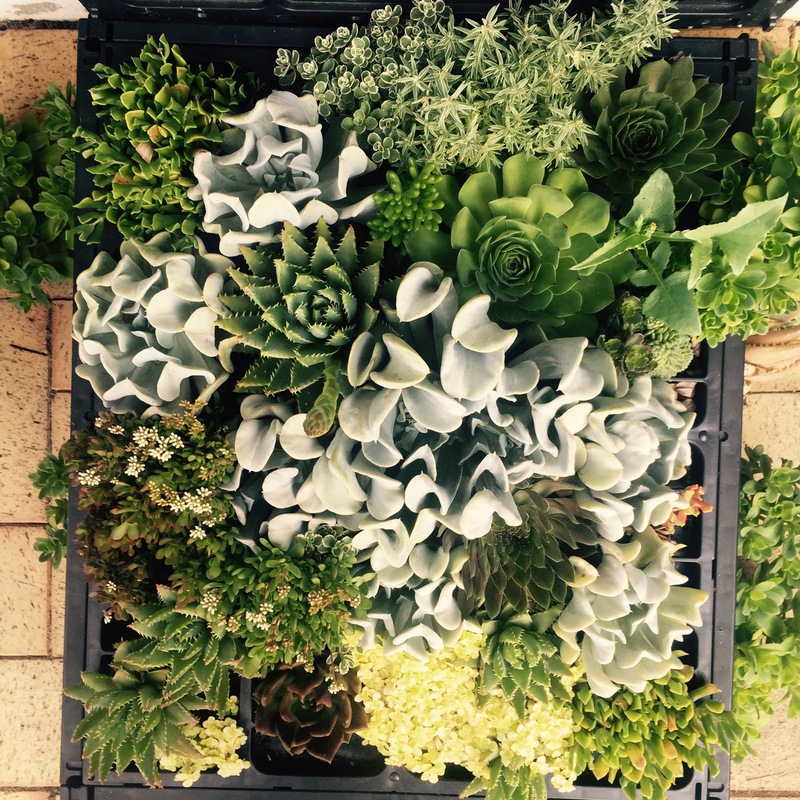 We have used exceptionally low maintenance species to keep the apartment clean and needing maintenance less often. 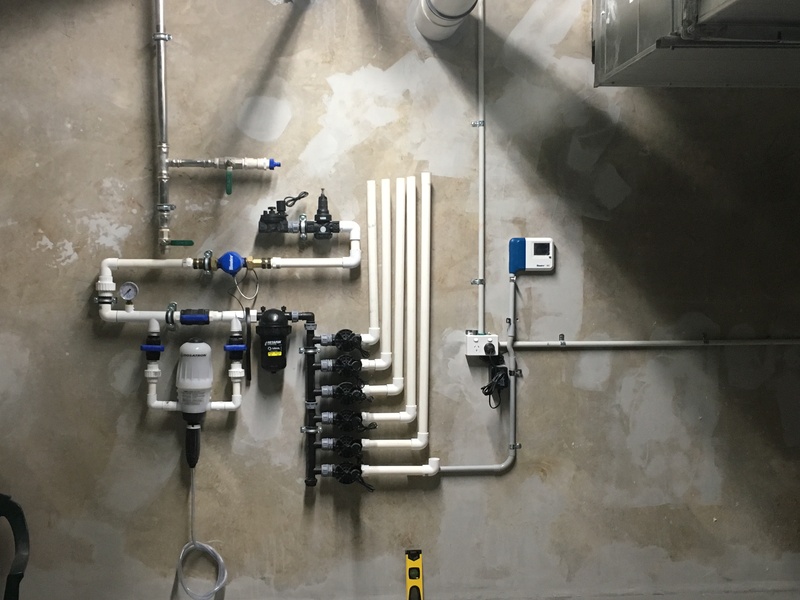 The water treatment system that feeds this project is out of sight in the basement. It is a Hunter industries system that enables Earth & Water to remotely analyse and control water to each of the four zones. This particular system is extremely responsive and reliable with flexibility to control irrigation by the minute. 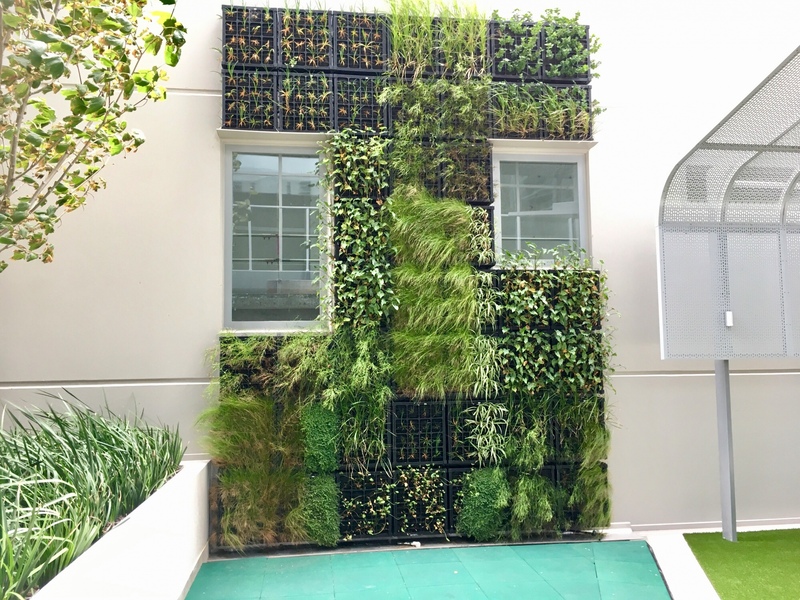 The immense size of this installation meant we had to find a place to grow the plants out in the wall modules. So we had the opportunity to work with Applecross Primary school to plant out the 4,128 seedlings and the school used them to teach their students about plant biology!